To say going from two full-time incomes down to living on one income is a total lifestyle change would be an understatement. But moms and dads all over the world are choosing to make the switch from working full-time to being able to stay home and raise their children. The decision to become a stay-at-home mom is one that comes with many costs and not just money… although that’s a big one! Stay-at-home moms can feel lonely and disconnected from their friends and previous life, feel de-valued in their new role, and struggle to find joy in the often supermundane tasks being done every day. I know this because I left the workforce in 2005 when I was pregnant with my first child and have been a stay-at-home mom ever since. I suffered through ALL of the above-mentioned issues! Being a stay-at-home mom is truly the hardest work I’ve ever done, but I honestly wouldn’t have made a different choice. There are things I’ve been able to do for all three of my kids over the years that so many of my mom friends wished they could like attending most of my kid’s field trips, class parties, and performances. I’ve had more flexibility than most parents I know. I’ve been able to personally witness all of their many milestones when they were babies and toddlers, and for that, I’m so grateful. But let me just cut in here on all the puppies and rainbows for a second and tell you… my journey has been H.A.R.D.! Really hard. Mostly because of lack of money which is really what this post is about – how to live on one income successfully. This is a super important point to consider. Sure, all the other issues I mentioned earlier were super hard too… but NOTHING compares to not having enough money every month! 7 – Stick to Your Plan! I knew this going in, and actually had a money-making position ready for me to do from home. Yes, my husband and I actually couldn’t afford for me to quit my job and not work. And that’s the reality for some of you too. I actually ended up making pretty good money until that opportunity completely dried up after about 3 years in. Yep, no more income! It was very scary and exciting at the same time because I really didn’t like the mindless work I was doing and it pushed me to where I am now… doing work that I LOVE! And if you’re considering making the transition to becoming a stay-at-home mom and living on one income, you may need to consider ways you can earn a steady income from home upfront. And honestly (this makes me sound so old) there simply weren’t as many opportunities to work from home in 2005 as there are today! There are so many ways to earn a side income and even a full-time income online. Some are easy but require you to actually work for that money day in and day out. When I first started working from home, I was literally tied to my laptop all day. Yes, it was stressful and hard but I was with my baby girl every day and for me, it was all worth it. She’s now 12 years old and she’s growing into such a wonderful human being. She’s recently had to overcome some difficult challenges and she’s handled them with such grace and ease that I’m completely in awe as a mom. Proud is an understatement. 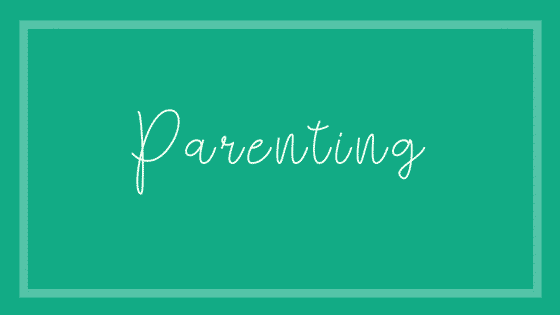 And I truly believe that my ability to personally pour into her every single day as a stay-at-home mom has greatly contributed to the woman she is becoming. Sorry, stepping down from my Mom Soap Box. Back to incomes… while many work-at-home opportunities are work for money jobs, others are passive. And that’s hands down the best kind of income! This post is designed to help walk you through the process of deciding if you can live on one income. But also shows you how you can actually earn an income from home and maybe even match your income you previously earned working 40 hours a week! Before we dive into the steps to transitioning to becoming a staying at home mom, let’s talk about how to be “all-in” together. Having your spouse on board with your decision is probably the single most important decision of this entire process. You may have already mentioned to your husband that you were thinking of quitting your job and staying home with your new baby. And he threw up a viciously quick objection. Remember, most if not all of these objections are rooted in fear, so don’t be discouraged. Most men, if not all, need to see things on paper… to see the numbers work out. They need to feel secure too. This is a life-changing decision so it needs to be handled with care, with prayer, and a whole lot of grace until you both come into agreement. Which you need to be in order to make this work. Moving on to steps 2-4 will help you both see where you are and what adjustments can realistically be made. The first thing you and your spouse need to do is put all your money on the table and see what you’ve got. List out your husband’s income and any other income you may be receiving, and then subtract your current income to see what’s left. I wouldn’t suggest adding any funds like your savings or investments to your income list. Those funds are reserved for your future or emergencies and should never be looked at as income for your day to day living. Putting savings away to use when you leave your job is a bad idea because that money will eventually run out and you’ll be left in a bad financial situation. Only add in sources of new income that are coming in on a regular basis. I realize that you may already have a family budget so that’s great! But when I say “realistic” I mean create a new budget that takes into account that your family is reducing to one source of income. For example, you may currently have $300 a month budgeted for family clothing. You may need to decide to reduce or eliminate that cost altogether. Typical families also spend a lot each month on eating out and family entertainment. Those are also areas that can be trimmed to allow your new stay-at-home lifestyle. Remember, there is a cost for most families and money is usually at the top of the list of sacrifices. And don’t forget to eliminate your current childcare costs which are usually extremely high! You may be pleasantly surprised to see how much money you were able to gain back just in your budget! Don’t get too scared at this stage with all the cutting. We’re going to talk about how to add in more income in just a bit, so stay with me! 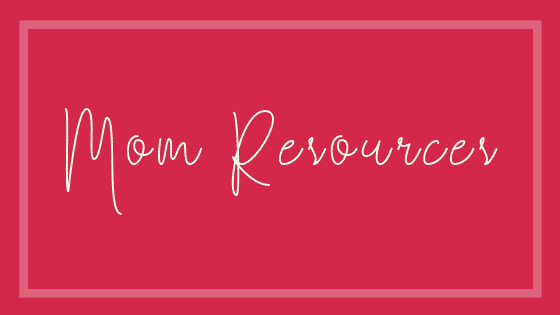 Get some great budgeting printables here! Depending on how things are looking in the first two steps you may be ready to put in your resignation and join the stay-at-home mom club today or you may need to explore possible alternatives. By alternatives, I mean looking for an area of compromise like instead of going from a full-time position to no income at all, you could ask your employer about working a flex or part-time schedule first. If you don’t have any flexibility with your current employer, you could look at getting a parttime position working at another company. I know a few moms who left their 9 to 5 positions and stayed home with their kids all day and got a part-time position working in the evenings when their spouse gets home from work. Retail stores and restaurants are perfect for this! Once you’ve looked at all your options, you’ll need to decide on when’s the best time to start your new lifestyle. You may decide that it’s best to grow your emergency fund for a few months first and that’s a really great idea! You definitely don’t want to rush into this huge change. Take it from me, it’s much better to have a plan and be prepared for setbacks. You’ll thank me later! Set a clear date and work together as a team to make it happen. Sometimes, you may decide to wait a year and work on your plan. But having a clear vision and date will keep you focused and on track! 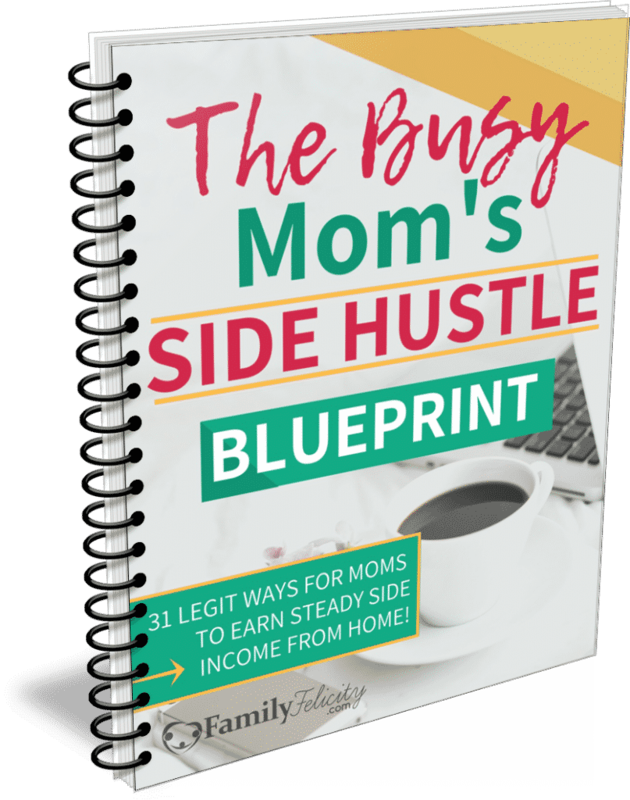 If you want a super detailed, step by step guide on how to create a steady Side Hustle Income grab your FREE copy of the Busy Mom’s Side Hustle Blueprint. Get direct access to the best survey companies and online testing sites and more side hustle ideas. Also get an income tracking sheet and best practices tips to make the most income possible! When you finally do transition to being a stay-at-home mom you’ll likely be making sacrifices in order to make it work. My greatest piece of advice is to remember why you’ve decided to make this major lifestyle change. That way when temptation shows up to get you off track or feeling jealous of what another mom is able to do, buy, or have you’ll still maintain your joy along the way. This stay-at-home mom life isn’t glamorous by a long shot! And you won’t be given a trophy or get looks of admiration from many people these days. In fact… probably the opposite. And that’s OK because you’re bravely stepping out to do the best thing for your family and I will applaud you now! Don’t allow anything to get you off track and most importantly enjoy the season you’re now in as a stay-at-home mom. Leave in the comments below if you’re a stay-at-home mom and how you’re able to handle it financially. Or if you’re wanting to be a stay-at-home mom and why you want to make this change. We adopted a baby in October. We had waited so long I just couldn’t bear not staying home with him. It’s definitely tough to budget and not worry about money, but so far it’s so worth it! Congrats on your new baby! Yes, staying home is so worth it despite the struggles and worries that come along with it! I really enjoyed reading about your journey! 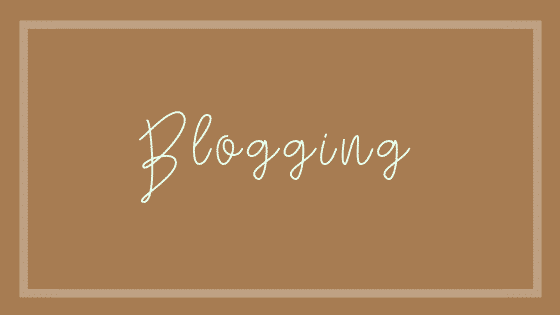 I’m in the same boat and I’m trying to make an income from my blog! You are right, it is so worth watching every milestone and being there! Great post! Great tips! We did a detailed budget when we were looking into if I could stay home with the kids. It is work to stay on the new slimmer budget, but it’s so worth it! Totally work and totally worth it! I completely agree, being a SAHM is the hardest but also most important job I have ever had! It was such a difficult decision to make and it is definitely not the cake walk I thought it was going to be but I have loved almost every single minute of it! Glad you put getting your spouse on board as number one because being on the same page as each other for this transition is extremely important! These are amazing tips to live off one income. 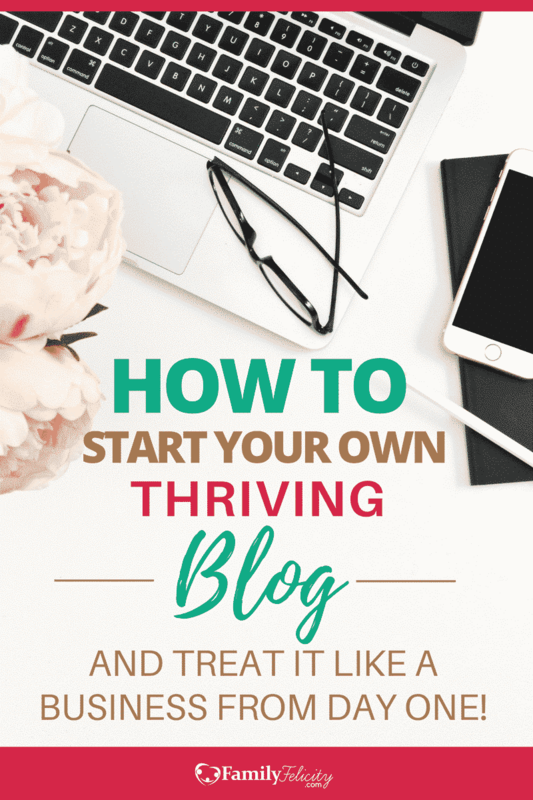 Having other sources of income can be really helpful and lots of fun (speaking as a blog owner). Yes, having another source of income is extremely helpful! I was home with all three of my kids. There are many ways to cut expenses that let you live a wonderful full life. Makes for a close knit family. Yes Candy, close-knit for sure. These are some great tips. Sticking to a realistic budget can be difficult when you immediately switch from two incomes to one. Yes, it’s a bit of a lifestyle change for sure! With an upexpected expense or loss. I guess I just need to start accounting for tragedy in my budget lol! Great ideas! We were in this boat several years ago when I wanted to stay home. We made it work with many of the similar strategies you mentioned. So glad you made it work! Great tips! Especially the one about everyone being on the same page. It’s hard to be a stay-at-home-mom, but it’s equally difficult to be the sole breadwinner. It is definitely worth it, though! Yes, I agree Amy! Hard but so worth it! Want to Learn How to Make Extra Cash While Staying Home with Your Kids? Get Access to 31 Legit Ways to add Another Stream of Income to your Household today by Starting Your Side Hustle!